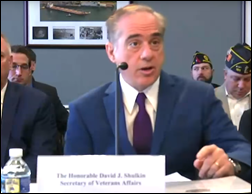 VA Secretary David Shulkin, MD asks Congress to move $782 million from its 2018 appropriations to get its Cerner implementation underway, starting with an immediate $374 million in reprogramming since that’s the maximum that can be moved in the short term. 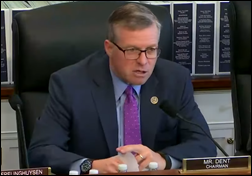 Committee chair Charlie Dent (R-PA) and ranking member Deborah Wasserman Schultz (D-FL) opened the session by expressing their frustration with previous VA-DoD interoperability efforts, the failure of the VA and DoD to follow the previous directives of Congress to create a single system, and their skepticism that the Cerner project will run as smoothly as the VA is assuring. The committee declined to discuss cost issues in the open session because the Cerner contract has not been signed and the VA is worried about bid protests. Cost was discussed Wednesday in a closed session that followed the public one. Shulkin said that modernizing VistA would have cost $19 billion and would only say that the Cerner project will cost billions less. The VA said it will save 5 percent of the project’s cost if the money is approved quickly so that the VA can align its project with the DoD’s. Shulkin reminded the committee that VistA is not a single system, but rather 130 separate systems that cannot continue to function. Those will be shut down one at a time as the Cerner implementation progresses over eight years. Shulkin admitted that previous VA IT projects have not been delivered on time and on cost, but said the Cerner project will be overseen directly by the deputy secretary and the DoD’s lessons learned will be invaluable. Shulkin said, “We’re taking advantage of the private sector CIOs. Mr. Blackburn’s going to be on a call with five of the leading CIOs in the country, getting their advice, asking what mistakes are likely to happen, and essentially using private sector input. I’ve been a private sector CEO. I’ve done EHR implementations.” Specifically named as being consulted in response to a later question were the CIOs of Mayo Clinic, Partners, Johns Hopkins, and Kaiser Permanente, all of which interestingly use Epic rather than the VA’s no-bid choice of Cerner. Shulkin talked up what seems to be CommonWell along with HIEs in response to a committee question about community interoperability, a subject brought up several times by committee members. He added that the VA has just issued an RFI for the Digital Health Platform that will address that issue. The VA’s EHR modernization executive director, John Windom, guaranteed 100 percent interoperability with the DoD in response to a committee member’s rather pointed question. From Winter Rye: “Re: Medent sale. I’ve never understood its reach despite the apparently success of its family and 8,000 reported deployments. The resignation of the son-of-the-father CEO may be telling that other family members want to sell after the father / founder died earlier this year. Potential buyers?” The family seems to be angrily split on selling the 260-employee EHR/PM vendor, which is based in Auburn, NY. It claims 8,000 physician users, with ONC placing it at #13 on the Medicare EHR Incentive Program most-attested vendor list with just under 4,000 EPs. It’s not the best environment to be selling an ambulatory EHR vendor given that segment’s consolidation, but it’s all about the asking price and the acquirer’s confidence of either maintaining the revenue stream or converting users to their own product (the former is much more likely than the latter). The worst thing that could happen is that the family members can’t agree whether to sell and the product languishes amidst the bickering. 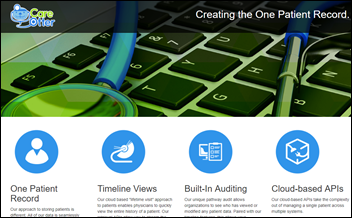 From Allscripts Curious: “Re: the new Allscripts ambulatory EHR showcased at MGMA. Anyone seen it and have feedback? It claims to offer cloud hosting, usability, interoperability, mobility, and embedded AI, but management was short on details.” I’m interested as well. I assume this is the Allscripts Care Otter project, which after I mentioned it via a reader’s tip in August wondering why it wasn’t ready to be shown at ACE, all online traces of the project were immediately taken down. This reminds me of why I’m skeptical when vendors suddenly claim to have embedded the oh-so-trendy AI in their products, leading me to wonder exactly what that means beyond the usual hard-coded programming logic (the real definition of AI is that the system simulates human intelligence in applying what it learns to complete new tasks, which sounds kind of unlikely for an EHR). From Nice Hat: “Re: patient access technology. What does that mean, exactly?” It’s less noble than it sounds, usually referring to technology that increases the number of profitable patients that can be cranked through the system. 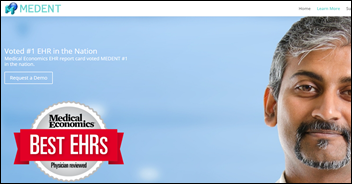 Thanks to Healthfinch, which has upgraded its HIStalk sponsorship to Platinum level. At least 50 percent of the usage of the possessive “its” that I’ve seen lately incorrectly spelled the word as “it’s,” raising the near-certain likelihood that dictionaries will start listing the misspelling as acceptable in their self-assigned role of being descriptive rather than prescriptive. This week on HIStalk Practice: CDC announces Million Hearts Hypertension Control Challenge winners. GE CEO John Flannery announces major restructuring. 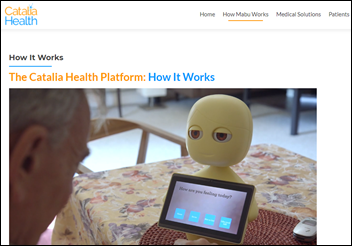 Mynd Analytics makes telepsychiatry acquisition. Nomad Health adds telemedicine to healthcare jobs marketplace. Pacifica Labs adds therapist directory to popular mental health app. Forward brings high-tech primary care to LA. The Iowa Clinic embarks on population health management with help from Lightbeam Health. PRM Pro Jim Higgins outlines how PRM tools can help physicians treat the person inside the patient. 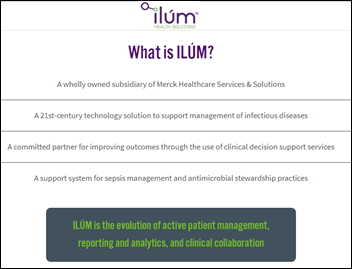 Merck-owned Ilum Health Solutions acquires Teqqa — a partner organization that offers analytics for infectious disease analytics — to enhance its antibiotic stewardship offerings with point-of-prescribing decision support. 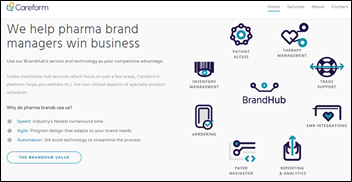 Patient adherence message vendor ConnectiveRx acquires Pittsburgh-based Careform, which offers technology for specialty drug access. 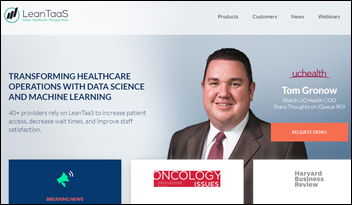 Hospital and infusion center scheduling system vendor LeanTaaS raises $26 million in a Series B funding round, increasing its total to $39 million. 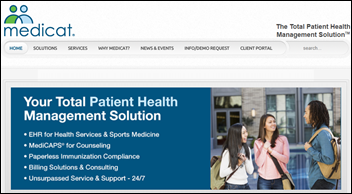 Banyan Software acquires Atlanta-based student health EHR vendor Medicat. I was puzzled why the company that developed the Vines networking system would buy an EHR vendor, not realizing that Banyan Systems has been defunct for nearly 20 years. 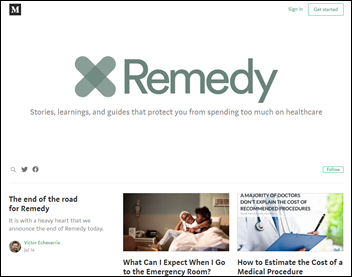 Fast Company profiles Remedy, a shuttered startup that used technology and human billing experts to help people get their incorrect medical bills fixed. 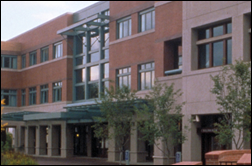 The company says hospitals, practices, and insurers wouldn’t cooperate by giving it access to the billing records of their customers, saying in its goodbye message, “Until the industry begins respecting the rights people have to their own information, it will remain difficult for individuals and their agents to be vigilant against baseless medical bill overcharges.” The article acknowledges that perhaps the company should have done more due diligence before placing investor bets on external data access, but adds that the company’s billing subcontractors were buried in paperwork as hospitals and practices required completing manual forms, lost the submitted forms so they had to be completed again, and incorrectly told them that HIPAA made it illegal to work with the company. 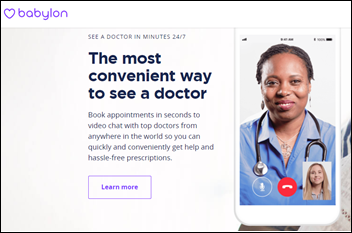 AI-powered patient engagement platform vendor Catalia Health raises $4 million in a pre-Series A round, increasing its total to $7.75 million. The company offers Mabu, a supposedly human-like conversational companion whose robotic voice is about as un-human as it can be, making that a good place to spend some of the new windfall. 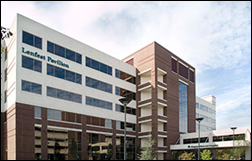 Jefferson Health (PA) chooses KyruusOne and ProviderMatch for Access Centers to create and manage a central provider directory that provides visibility into network-wide clinical coverage and provider expertise. 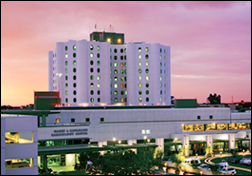 Griffin Hospital (CT) will implement FormFast’s electronic form and workflow technology along with check printing. 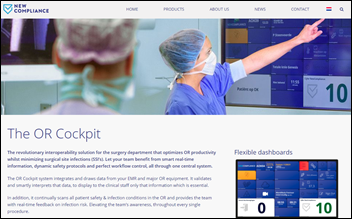 In Australia, Royal Adelaide Health chooses the anesthesia information system of Florida-based IProcedures as part of its Allscripts contract. 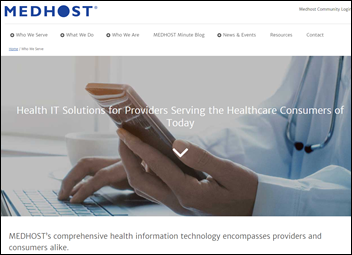 Allegiance Health Management (LA) selects Medhost’s clinical and financial solutions, EDIS, and YourCareCommunity patient and provider portal for eight of its facilities. Banner Health will implement Health Catalyst’s Data Operating System for its outcomes improvement program. A UCSD announcement of the go-live of UCI Health on a shared instance of UCSD Health’s Epic system quotes UCSD Health CIO Christopher Longhurst, MD, MS and UCI Health CIO Chuck Podesta. Protenus hires Megan Emhoff (Curiosity Media) as VP of people operations. Apple co-founder Steve Wozniak will headline InstaMed’s 2018 User Conference April 9-11 in Philadelphia. 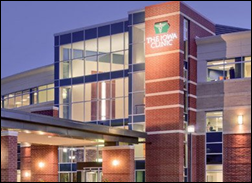 The Iowa Clinic (IA) goes live on the population health management platform of Lightbeam Health Solutions. The local paper covers the first US deployment of Netherlands-developed, infection prevention-focused OR Cockpit at Ocean Springs Hospital (MS). Philips and Nuance will bring AI-based image interpretation and reporting capabilities to radiologists in integrating their respective Illumeo and PowerScribe 360 products. NextGen adds the IMO Problem IT Terminology diagnosis entry tool by Intelligent Medical Objects to the mobile workflow solution that was part of NextGen’s acquisition of Entrada earlier this year. 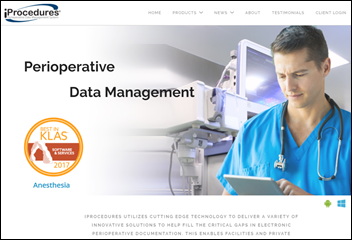 Image Stream Medical offers HIStalk readers “Surgery is a Team Sport,” a three-part educational series on improving teamwork, increasing care quality, and expanding efficiency. In Canada, Canada Health Infoway and OntarioMD will align the privacy and security components of their respective EHR certification programs. An “internal network infrastructure issue” leaves CVS Pharmacy unable to process prescription refills. Annoyed Twitter users dispute the company’s claim that new prescriptions are being filled normally, saying that the multi-day outage has disrupted all CVS prescription activity and has caused store personnel to suggest they head over to Walgreens. CHIME suspends its highly publicized, $1 million prize National Patient ID Challenge after two years, saying “a new approach is warranted” with no good solutions found and admitting that “we cannot do this alone.” CHIME President and CEO Russ Branzell also notes that Congress may soften its stance on prohibiting HHS from creating a national patient identifier. CHIME says it will bring together key stakeholders to find a national solution that identifies people with 100 percent accuracy (its million dollars would be safe there for sure). A woman sues EClinicalWorks for $999 million, hoping to attain class action status in claiming that her husband died because ECW’s EHR left him “unable to determine reliably when his first symptoms of cancer appeared in that his medical records failed to accurately display his medical history on progress notes” without really describing what happened. The complaint cites the certification issues that were listed in ECW’s settlement with the Department of Justice. But while anyone can join its service, the website says it may not be suitable for “complex mental health problems or complex physical, psychological or social needs.” Or if you’re pregnant or older and frail, and as long as you don’t have dementia or learning difficulties or safeguarding issues … We cannot refuse to register patients or advise them to register elsewhere based on age, gender, or disability. If my surgery put a list on its website telling the most ill people in our catchment area we weren’t suitable for them, NHS England would serve us a breach of contract notice and could close us down. 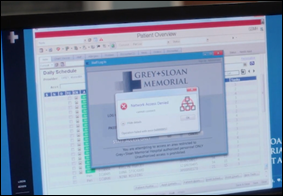 I mentioned that Thursday night’s “Grey’s Anatomy” winter finale involves a hospital cyberattack, with a sneak preview showing that it’s ransomware. 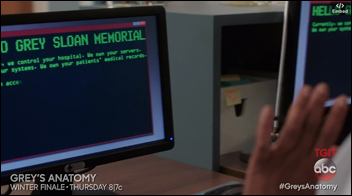 It’s a pretty realistic EHR screen and “Tim from IT” gets a fun line before his day is wrecked in cutting off the nurse’s description of the problem by asking her if she’s tried turning the computer off and back on. Hollywood loves playing sounds when text displays on a screen like a teletype and did so here, which might be desirable for ransomware but not otherwise. The hacker appears to be demanding 4,932 bitcoin, making the ransom at bit steep at $38 million. Elsevier adds an Opioid Epidemic Resource Center to its Connect website. Salesforce offers an e-book titled “How a Mobile CRM Makes You More Successful” and a guided tour of Community Cloud Lightning. Datica CTO Adam Leko and Methodist Le Bonheur Healthcare analytics director David Deas will present a session on eliminating HIPAA compliance as a development barrier at the Amazon Web Services AWS re:Invent conference on November 27 in Las Vegas. Brava Magazine profiles Healthfinch VP of Finance and Operations Leah Roe. Healthgrades partners with Code.org to bring Hour of Code to schools in Atlanta, Denver, Madison, and Raleigh. Healthwise will exhibit at the Next Generation Patient Experience November 28 in San Diego. Iatric Systems releases a preview of its forthcoming Security Audit Manager. Imprivata customer support wins the 2017 TSIA Star Award. The HCI Group partners with the Dubai Health Authority for the DHA Transformation Forum. Consulting Magazine includes Impact Advisors in its list of fastest-growing firms for 2017. It’s mind boggling that after all the pageantry and chest thumping neither DoD nor VA is going live connected to community providers. I admittedly am not an old timer, but I can’t remember the last time an Epic site went live without Care Everywhere. How is this not part of initial scope? How can an oversight committee not demand it? It’s twilight zone! What Cerner sells and what Cerner does are two different things. When (if) Cerner and its CommonWell customers ever join the rest of the world on Carequality, it will barely make a blip, because there just aren’t very many. But almost in the same breath claims that VA and DOD can lead the industry. Up until this point, they had sounded well informed and thoughtful. Head scratcher. I’ve been a direct participant in two of the five Epic sites mentioned (the CIO advisors). I can state straight up that in the case of the two I worked in the CIOs knew zilch about the implementation and couldn’t identify a risk factor if it was a city bus about to plow them under. If the VA is serious about this perhaps they should consider a best practice that I’ve seen in a number of Epic implementations – gather together a group of highly motivated front line level staff members and ask THEM where the risks and pressure points exist. It’s a sad reflection on what we accept from our government employees when people can go before Congress, make a request for such a crazy amount of money and then spew some sort of gibberish – and not one person on the panel has the wisdom to recognize double speak when they hear it. Has anyone heard anything else about this MEDENT sale? It seems there is one news article out there, and then this post. Wondering if this is real or fear mongering. One practice told me it is definitely happening, but that is about the only other confirmation I can get.